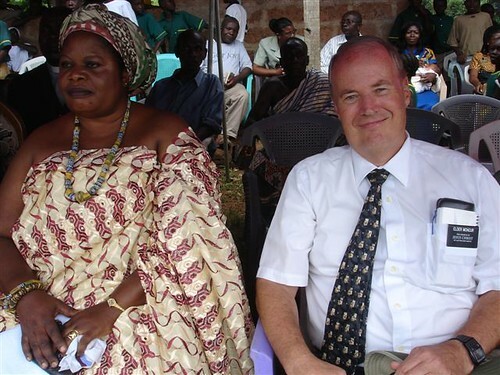 I’ve received the latest email and photo update from the Moncurs, serving in the West Africa Ghana Mission. The email is much shorter, and the photos fewer, but they are still fascinating. I have to admit though, I’ve never really seen the Coke for Christ approach. Thought you might enjoy these pictures of recent events. All continues to go well in Ghana. The weather has turned cooler, and power situation has improved for the time being. We continue to have great experiences. We’re pretty tired at the end of the day–Ghana tends to wear you out. Miss everybody, and looking forward to coming home. End of mission. Elder Buache arrives home to his village. By complete accident I am seated next to the queen mother at the school dedication. The chief arrives at a school dedication we attended. Each village has a chief and sub-chiefs. The men carrying the gold staffs are like go betweens. You don’t talk to the chief directly. You talk to these men, who then tell the chief what you said, even though he heard what you said. Then he answers back through one of these men. 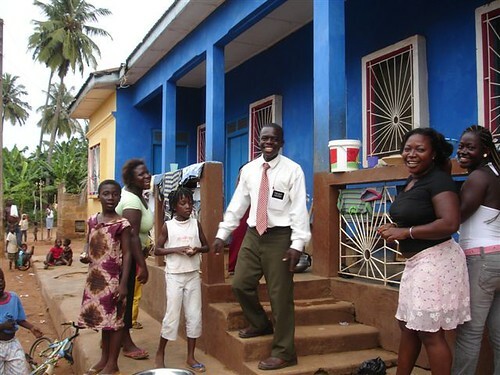 Amankwah Mission call 012 – Start of mission. The moment captured when Jonathan learns he is going to Nigeria. He asked me to open the envelop and read the destination. Note the expression of disbelief on his mother’s face. Father on the left, me Jonathan, mother, and Fred (brother). Everyone’s happy, even his mother. To see previous posts and photos from the West Africa Ghana Mission, please click this link and scroll down. That “Coca Cola for Christ” shot is amazing. Sorry I missed this before. These are always my favorites. I got a chuckle out of that one too. Thanks for stopping by. The photos are Great !, I am very happy that things are going so well. Keep up the great work. 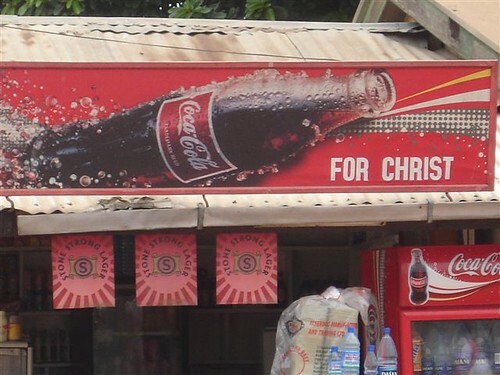 Actually the coca-coal sign board did not really meant coca-cola for Christ “FOR CHRIST” might be the name of the store like FOR CHRIST TRADING ENTERPRISE in Ghana coca-cola used to provide free customize sign board for stores so they are not mixing the religion with coca-cola but it can be a perfect coincidence. When Christ came on earth He ate and drunk the same food and drink with us so I think if there was coca-cola He would have enjoyed it too. This is why I am anti-missionary, particularly the Mormon Church that has a history of racism. Check the background of the Coke sign – you have no idea what the context is, and how sad that you didn’t research it. Similarly, the men with the “gold staffs” are not “go betweens”, they are Linguists carrying Linguist Staffs. 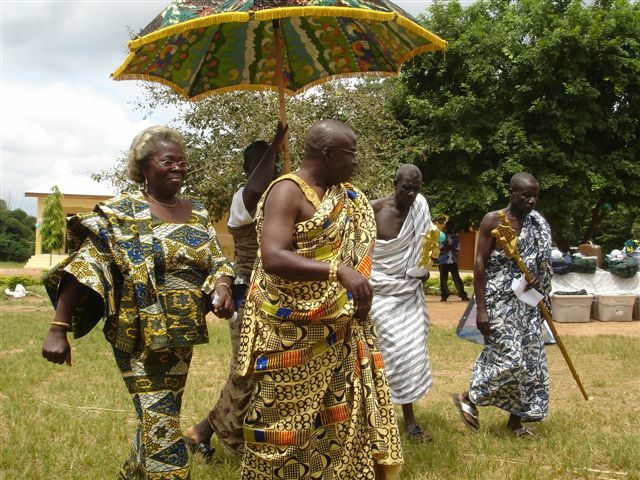 I find it so sad that you have not done any research on the cultures of Ghana. Have some respect, please. 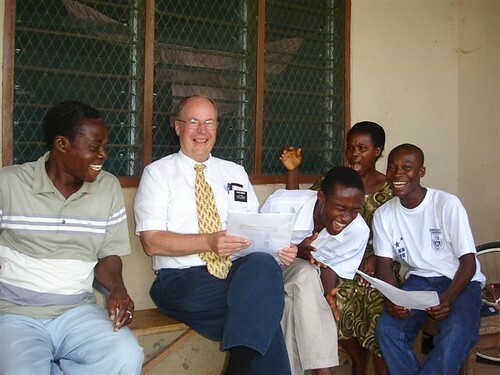 As you have boldly criticised this missionary and his poor research, i was especting you to tell him the duties of the “Linguists” then, how can you blatantly conclude he has done no research of Ghana culture? Please! school your feelings. You can be anti-missionary all you want and hate the Mormon Church and that is you own personal problem to deal with. This information published has nothing to do with your hateful feelings. Well said Dennis Hunter. Respect to you!! With no intention to offend anyone…But what do you think would Christ Himself think of Coke as a brand, a huge monster corporation, etc?